Just in case you are having problems nodding off for an afternoon nap. I can help as I have posted a new video on dropshot fishing. I went to the day ticket stretch of the Thames at Goring with a group of friends from the LAS. The past two trips have been very hard with most of us blanking but today we found actively feeding fish in the mood to chase a lure. I persisted with the dropshot most of the day to refine the skills on a big river and I was catching small perch from the off. It was not easy fishing as I had to work the dropshot around a lot of snags and branches in the water and it did cost me about four end rigs so I increased the fluorocarbon to 10lb and that reduced the break offs. I finished the day with around 20 small perch and one baby jack. I also spent the last hour bottom bouncing a 3 inch motor oil curl tail and that produced the jack and two good perch. A great Autumn day on the river. Great report Peter. The photographs look fantastic with the autumn back drop. It was a lovely warm Autumn day with the threat of rain in the afternoon, we packed up at about 6.30pm and drove home in the pouring rain. The others all left at around mid afternoon and missed some of the best fishing, apparently the fishing really picks up there as dusk falls. 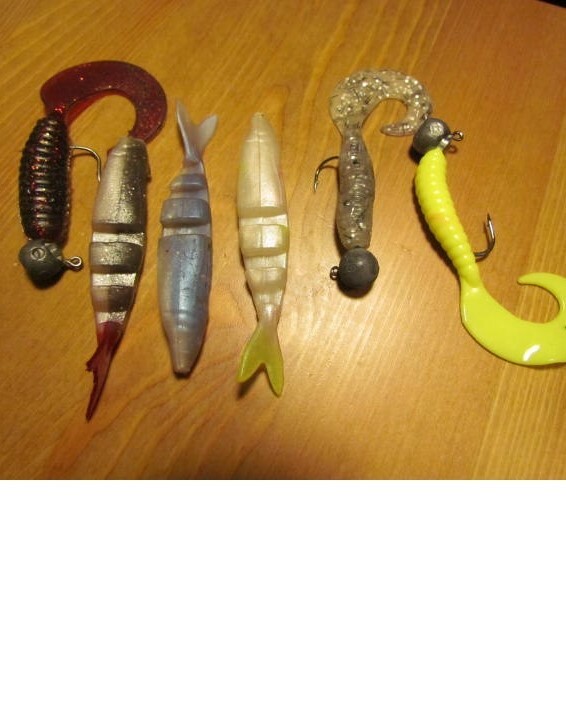 I fished the motor oil curly tail thinking it would imitate the small cray fish, I am not sure if that was the case but I got a lot of hits but only the three hook ups. Well I have had my first lure session on Farmoor No1 and I shared the boat with one of the top competition European lure fisherman, he was extremely well kitted out and with out any doubt in my mind new exactly what he was doing. I was also pleased to see that there was not a vast difference in the way and how we fished, he was just better at it. Then on the 3/11 we went to Ravensthorpe for an LAS social, which proved to be very unsocial as six people did not show and did not phone to cancel the boats that were booked for them and there was only three of us being social. The other boat of two went out before we arrived and did not make themselves know to us when out on the water. We discovered on arrival that it was a minimum lure length of seven inches which rather scuppered my plans for a more finesse approach, although we had a good day on the water we did not catch any pike. 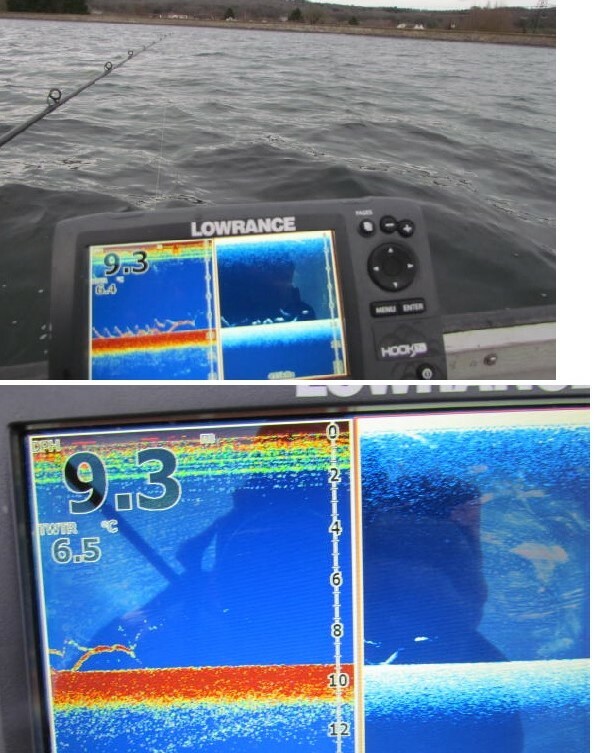 I only saw three marks on the fish finder that could have been big pike but they looked inactive on the bottom, there were three other boats out predator fishing but they were dead baiting but also with little success. 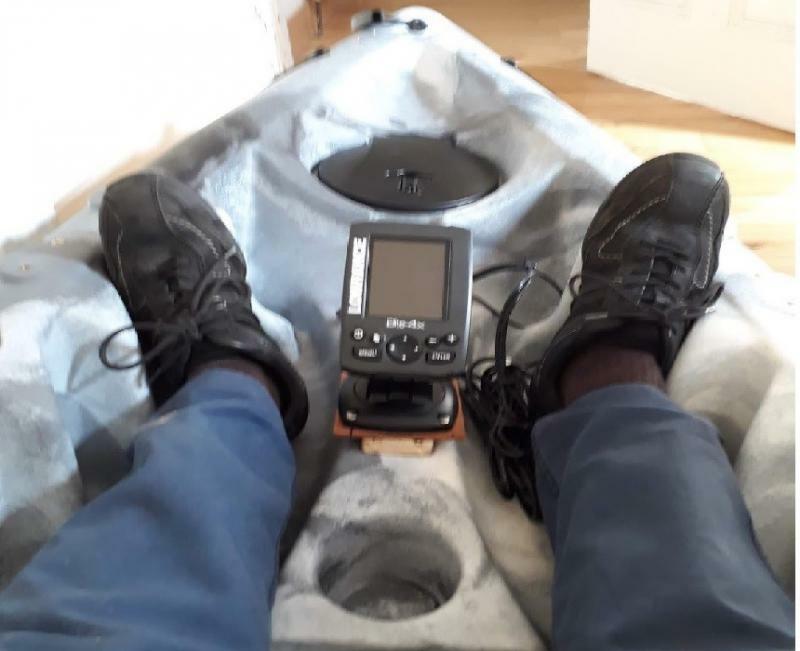 Meanwhile the kayak is coming on, I have temporarily fixed the small fish finder and an anchor trolley system, the roof rack arrives next week so I may get to launch it prior to the op on Friday. I think there is a lot to be said for that philosophy, Peter. This autumn my mate Jack and I only found concentrations of baitfish twice on Chew. The first time was in almost no wind which allowed us to park more or less on top of them in around 25 feet without deploying an anchor or drogue and we caught a lot of small Perch, a couple of Jacks and a 6-12 brownie. The second time there was more wind which meant we drifted over them too quickly to fish effectively even though we deployed a drogue, and we failed to catch. Good to see the Kayak is coming on nicely! January 15th and I am making my first trip of the year too Farmoor with the lure rods with the aim of catching a Perch. I say a perch because one (a big one) is a result at Farmoor. I booked a boat on No1 as the theory is that is where the big ones are we are talking about 5lb plus fish. The fish finder was fully charged and I know some of the hot spots and the plan of attack was four inch shads and curly tails. I had two rods one to be fished as a dead rod and the other cast and retrieve. I spent a long time motoring around spots and features looking for balls of bait fish but could not find any,. I also spent time watching the grebes and cormorants and motored over their feeding areas but still could not find groups of bait fish. So I put out the drogue drifted and fished on the move hoping to cover fish that were not in the viewing frame of the fish finder. 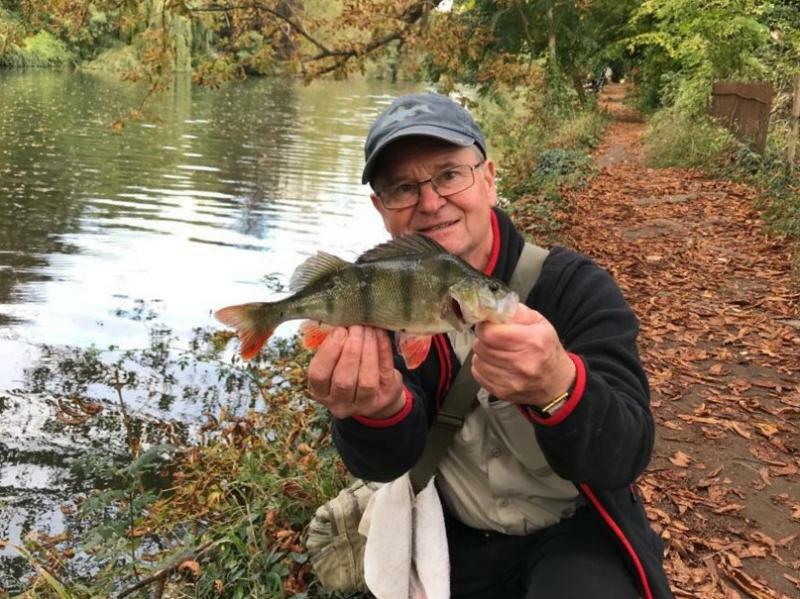 By the end of the day I had caught two browns and two rainbows all between 3 and four pounds but the perch were as ever ( for me ) illusive. I could see on the finder that fish followed the lure even chase it around a bit under the boat but did not take . The thin zig zag is the lure the darker shape or line is the fish. Despite the lack of perch I still had a good day, the weather was mild and the water was clear. Two good Brownies and a couple of decent Rainbows sound like a result to me. However I know it can be a bit disappointing when they break surface and you find they aren't your target species, although I expect you guessed that by the fight before you saw them. I thought this the best place for it as I will mostly be lure fishing from it. I think you are very brave, Peter! Nice set up though. Not that brave, I plan to do my apprenticeship on quite waters before I go to the Thames or a big windy reservoir. I have just returned from Utrecht to see a friend and do some fishing with him on the local city canals and rivers. Reports on his local forums were looking good for Zander and Perch. Unfortunately the best laid plans can fail, we fished the spots that should have produce fish but we struggled to make contact. It seemed that the fish were being caught on the bigger rivers and canals from boats, we were restricted to bank fishing only. Day one, we fished the local river that unusually for Holland had a very strong flow on it and held pike, perch and Zander we did catch some small perch but nothing of any size. Day two, we moved location by push bike (my fist time cycling in 48 years) the first stop was a small pond that held Zander and Perch but apparently no pike. Third cast with a four inch shad and no wire trace I am into a monster pike, I knew it would not end well due to the amount of wood in the water and no trace. 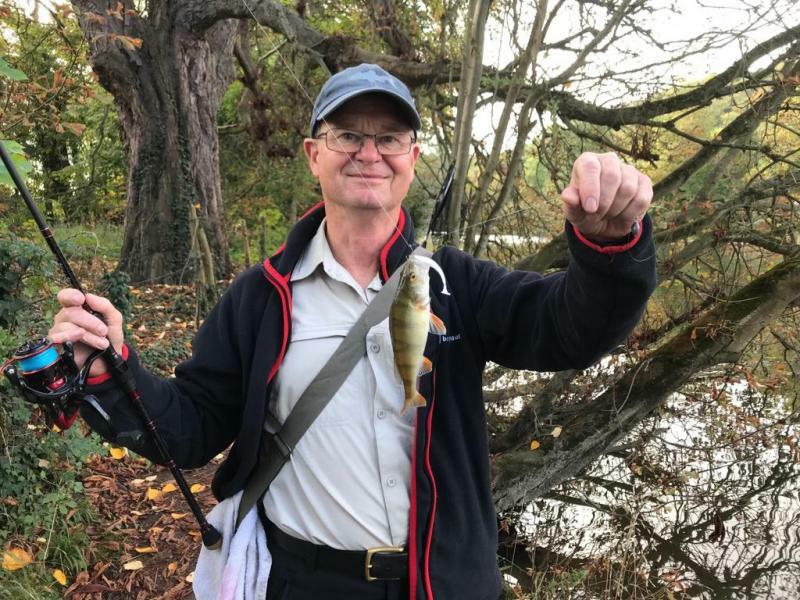 So when I was bitten off it was not a surprise but it was a big double and would have made the day, my friend Robin was gutted as he had said no pike. I do fish barbless when not using a wire trace so I am confident the pike would dispose of the lure. 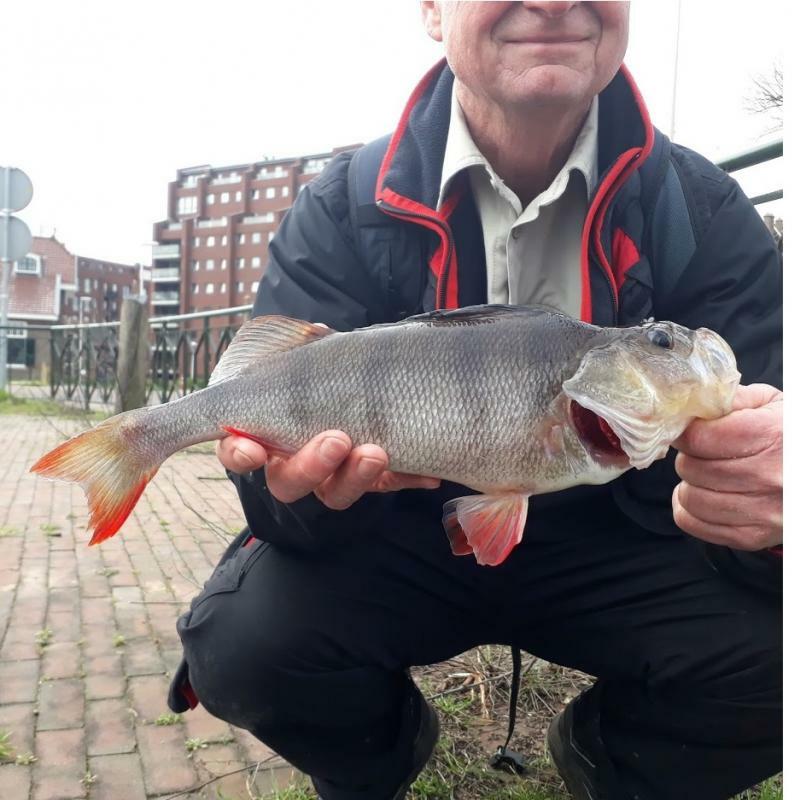 Day three, we fished the local city canals and after trying a few spots we finally contacted some good perch by a sluice gate, seven in total the biggest around two pound. My last full day was a non fishing and I spent it in the city, the weather had also turned nasty with high wind and rain showers so not good conditions for light lure and drop shot fishing. The next trip will be in warmer weather when the fish are more accessible from the bank and the Lilly Pads have grown. This photo does not do my biggest Perch justice, it was a plus 40cm fish and looked to my inexpert eye to have spawned. 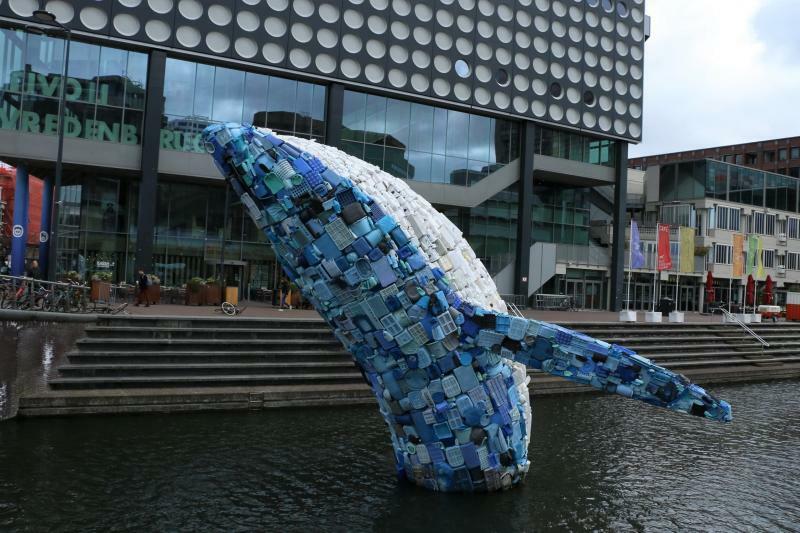 meanwhile on display in the town center was this sculpture of a whale made of plastic waste which apparently is on tour of Europe.